Custom Rosewood Steak Knives Set Personalized in Bulk. Promotional, Laser Engraved, Inexpensive. Lowest cost in USA and Canada. Special Clearance Sale! Rosewood Steak Knives, laser engraved in bulk and packaged in biodegradable case. Our custom engraved steak knives have very sharp, curved serrated blades to ensure quick, easy cuts every time. 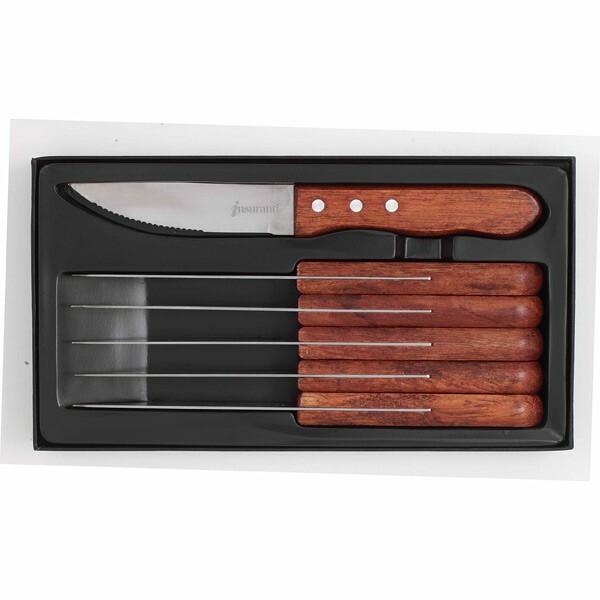 Lowest prices in USA and Canada for promotional steak knives in bulk. American clients pay no taxes.